Discuss the history of fire codes and their impact on safety in commercial buildings. Explain how building materials, specifically insulation, are rated for fire prevention. Describe how insulation is an important component in a code-compliant fire-prevention design. Distinguish between common myths and truths in the marketing of fire-rated insulation. Understand the importance of specifying insulation that best serves the fire-prevention needs of the project. Making buildings safer for occupants in the event of fire is the responsibility of everyone involved through the design and construction phases of a building. This is especially true for architects and designers, as this responsibility begins with material considerations. Fire codes are in place to ensure buildings are as safe as possible. The materials and assemblies that architects and designers specify must meet the requirements of these codes; however, the path to code compliance is not always straightforward. Perhaps because fire-related deaths are so tragic, some manufacturers advertise their products’ fire-prevention benefits based on attributes that may not be necessary or practical in real-world scenarios. Consequently, there are several myths around how building products, such as insulation, can contribute to an effective fire-prevention strategy. Specifying the most appropriate product starts with a good understanding of fire codes, fire ratings, and the range of insulation products available to help you both meet fire-related code requirements and satisfy the other goals of your project. 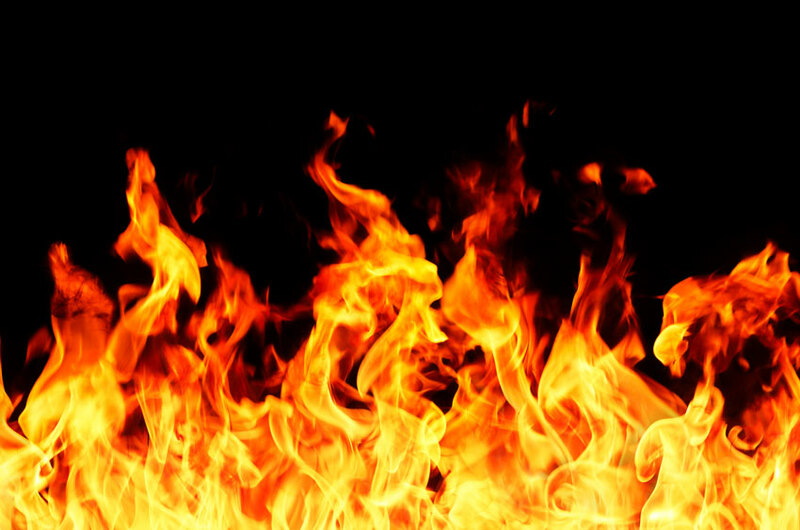 According to the National Fire Protection Association (NFPA), structural fires occur every 61 seconds throughout the year in the United States. Smoke from building fires accounts for 73 percent of fire-related deaths. Building codes have evolved over the decades, with the goal of improving fire safety and reducing fire-related deaths. For example, codes now require that many building products and assemblies resist flame spread and smoke development for extended periods of time. Yet many of the design features we take for granted in commercial buildings, including how buildings are physically located in relation to the street and to each other, have come at great cost. Today, state and local codes can reference consensus standards, which ensure synthesis among jurisdictions and help avoid catastrophes, such as the Baltimore Fire. Building codes are not the same as fire-prevention codes. Requirements that deal specifically with construction of a building are part of a building code and are administered by the building department. A fire-prevention code, on the other hand, includes information on fire hazards in a building and usually is regulated by the fire official. Several organizations have been instrumental in developing and improving fire codes. These include the National Fire Protection Association (NFPA), the Underwriters Laboratory (UL), and the American Society for Testing and Materials International (ASTM). ASTM is an international standards organization that develops and publishes voluntary consensus technical standards for a wide range of materials, products, systems, and services. ASTM’s fire and flammability standards are involved in the testing and evaluation of the ignition, burning, or combustion characteristics of certain materials. Many of these standards concern interior and exterior building parts. These standards are instrumental in the establishment of building codes, insurance requirements, and other fire regulations that govern the use of building materials; in fact, ASTM standards account for nearly half of the standards referenced in the building code regulations. UL is an American safety consulting and certification company that provides safety-related certification, validation, testing, inspection, auditing, advising, and training services to a wide range of clients. UL certifies materials, systems, and assemblies used for structural fire resistance and separation of adjacent spaces to safeguard against the spread of fire and smoke within a building as well as the spread of fire to or from the building. UL certification programs and services for products regulated by fire codes also help fire officials and designers achieve safe, code-compliant installations. For centuries, fire codes, fire marshals, and fire departments did not exist. Cities burned and were rebuilt, only to burn again. In 1666, the Great Fire of London burned 80 percent of the city’s buildings. The close spacing of buildings and combustible construction materials made them vulnerable, yet the city was rebuilt without significant changes in either, though the fire did catalyze the development of hand-pumped fire suppression tools. The history of the United States is a history of tragic, sometimes catastrophic fires. One of the first American fire ordinances, enacted in 1631 by Boston Governor John Winthrop, outlawed wooden chimneys and thatch roofs. While the fire hazards of such constructions may seem obvious to us today, they were common in colonial settlements. In 1648, New York City employed its first fire wardens, who were responsible for inspecting chimneys for proper construction and cleanliness. Following a large fire in 1679, the City of Boston hired the first firefighters, and in 1736, under the direction of Benjamin Franklin, the first volunteer fire department formed in Pennsylvania. These early firefighters mostly used the “bucket brigade”—a line of people who passed buckets full of water from person to person—to fight fires. In 1871, a fire engulfed the rapidly growing city of Chicago. Three fire departments responded, but their efforts were thwarted once the fire overwhelmed the waterworks facility. The Great Chicago Fire sparked code changes, including new requirements for the spacing of buildings and allowable construction materials. A year later, the Great Boston Fire consumed 60 acres of buildings. This fire also instigated changes, including widened streets, uniform building codes, and more frequent building inspections. Many state and local jurisdictions can and do adopt their own sets of codes. This can create a complex patchwork of contradictory practices, with at times disastrous consequences. In the Baltimore Fire of 1904, much of the city burned, despite the response of fire personnel from several jurisdictions. The efforts were handcuffed by the incompatibilities between fire hose couplings and city hydrants. Following this fire, which left a “Burnt District” of 80 city blocks downtown, Baltimore adopted a new fire code, and the NFPA adopted a national standard for fire hydrant and hose connections. Many of the tragic fires, such as the Iroquois Theater Fire in Chicago in 1903—which, with 602 reported deaths, has the unfortunate distinction as the deadliest single-building fire in American history—illuminated the need for better access to exits, a greater number of exits, improved exit signage, maximum occupancy limitations, and strategies that allow for quick exiting of a building, such as panic bars. This fire resulted in changes to both federal and state codes. Ironically, many of the worst fires occurred in buildings that had recently passed fire inspections. For example, the Winecoff Hotel, which caught fire in Atlanta in 1946, had recently passed a fire inspection, yet it did not include a fire alarm system, fire suppression system, or fire escapes. Following this tragic fire, which killed 120 people, codes were changed to require fire alarm and fire suppression systems and designated locations for fire exits. Fires in hospitals, factories, hotels, prisons, and night clubs often resulted in the adoption of code changes for that category of buildings. For example, in 1980, the MGM Grand Hotel fire in Las Vegas killed 84 people and injured hundreds. The hotel did not have a sprinkler system, and smoke and fire spread rapidly throughout the building due to lack of separation in the stairwells, elevators, and seismic joints. Following this fire, Las Vegas required a complete retrofit of sprinklers within casinos throughout the city. This fire also brought to light the fact that smoke kills more people than the actual fire. As recent incidents such as the Oakland Warehouse Fire of 2016 demonstrate, deadly fires still occur in commercial buildings. Fortunately, most buildings are safer than ever, thanks to stricter codes and enforcement and better construction materials and technologies.